Black Burlap String, Black Buttons, Navy Pearls, Flowers, Word Sticker Stamp a total of 8 feathers using Jet Black Archival Ink. Stamp both sides of the butterfly wings with the same ink onto white cardstock. Add colour to all of the pieces using a mixture of the Chameleon Pen colours listed above. Fussy cut out all of the stamped pieces. Cut the photo to 4×4 and mat in black, white and black cardstock again. I added Black Creative Photo Corners to the photo for an extra pop. Adhere the matted photo to the middle of the layout using 3D Foam Squares. 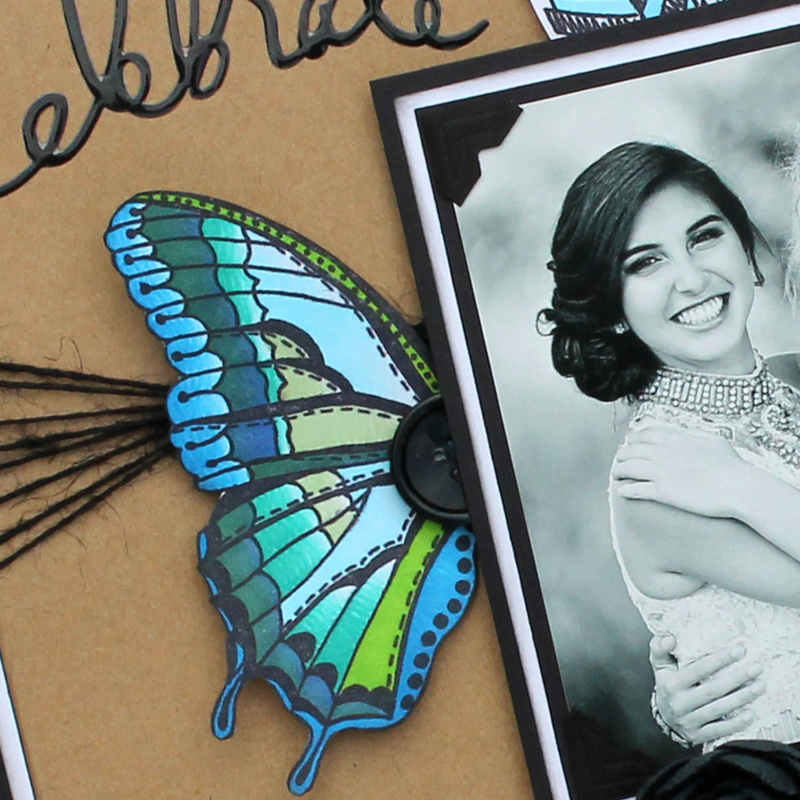 Add the butterfly wings to either side of the matted photo, and then black buttons. I added 3 feathers above the matted photo and 5 feathers below the matted photo using 3D Foam Squares. 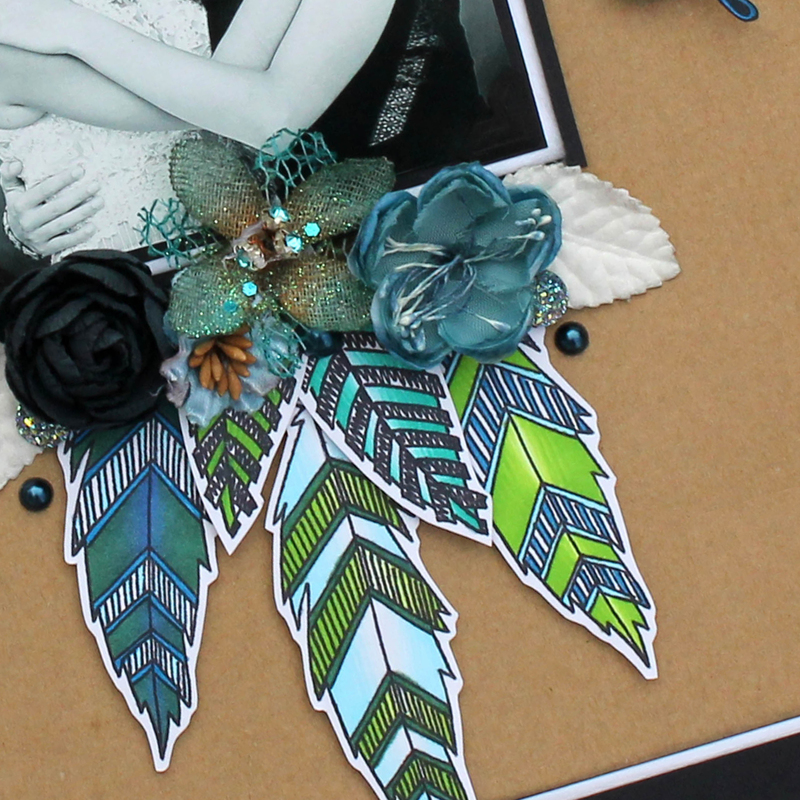 Add a cluster of flowers and leaves below the matted photo using Adhesive Dots. Add a final touch title word sticker in the top left-hand corner, and a few pearl embellishments.